Took a tour with an interesting old lady called Helle (a former teacher). She said it was much nicer coming to work now rather than having to face the "naughty children". We went to the site of their music festival (like our sound shell with massive grounds). The festival had been the previous weekend and a beerfest was starting the next day so they were setting up tents and rides. We then went out to the beach where they had the Olympic sailing events in 1980 (when they were part of the Soviet Union). 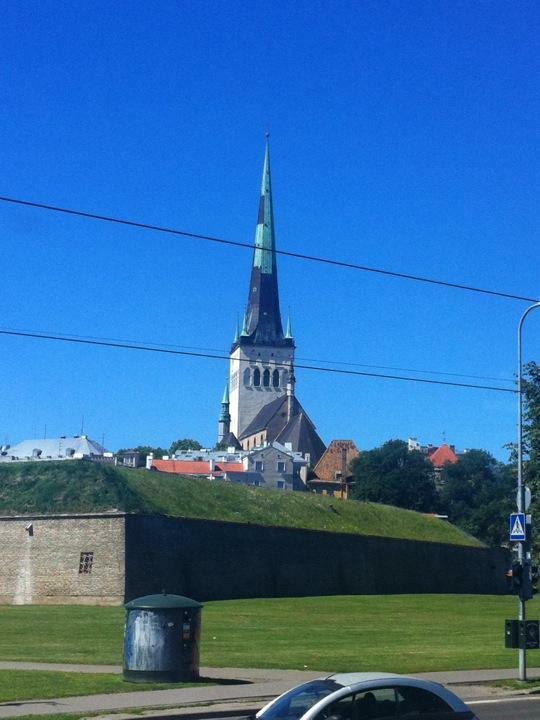 Our final destination was Toompea hill - site of the old castle and fortified city - went through Alexander Nevsky Cathedral and St Mary's Cathedral (also known as the Dome Church). Almost got blown off the dock walking back to the ship!